Clark Hedger is a business lawyer whose practice encompasses a range of matters including complex commercial litigation, internal investigations, products liability and business torts. Clark serves clients in the pharmaceutical, health care, bio-technology, automotive and trucking industries, among others. 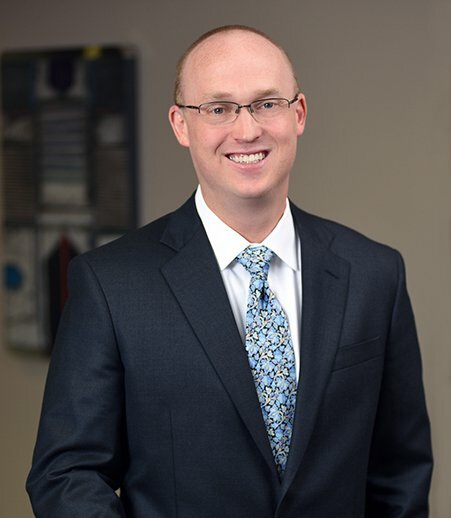 Clark has tried cases to verdict in state and federal court and regularly defends his clients in state and federal courts, as well as in various arbitral forums, throughout the Midwest. In addition to defending businesses and business owners against business torts, in contract disputes, in business divorces and in other ownership disputes, he also defends product manufacturers in various segments of the automotive industry against claims attacking the design, manufacture and distribution of their products. He has defended clients in cases (including class actions) alleging consumer fraud, unfair business practices and violations of state and federal statutes, including RICO. Clark often represents plaintiffs in business disputes as well and brings breach of contract claims and other business disputes. In addition to his litigation practice, Clark regularly provides counseling (pre-litigation and otherwise) on issues related to strategic business planning, technology transactions, employment law and other operational matters. Clark joined Greensfelder in 2007 after serving as a law clerk to Judge J. Phil Gilbert of the U.S. District Court for the Southern District of Illinois for two years. Represented a multinational manufacturer of automotive parts in products liability litigation in state courts throughout the Midwest. Represented a privately held technology company in shareholder litigation involving claims of breach of fiduciary and conspiracy. Represented an alternative energy developer in a construction dispute with a multinational manufacturer. Congratulations to Greensfelder's newest officers of the firm: Clark Hedger and Abby L. Risner. "Due Process Protects Businesses From Forum-Shopping Trial Attorneys"
"Big forum shopping changes in store after landmark Norfolk Southern decision"